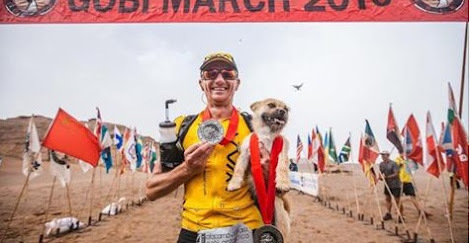 After following runner Dion Leonard for 125 kilometers across the desert, Gobi the dog is finally on her way home with him. Leonard met Gobi during this year's Gobi March 4 Desert Race, which is a six-stage, seven-day, 250-kilometer race across — you guessed it — China's Gobi Desert. On the second day of the race, Leonard noticed Gobi running alongside him. “She would run ahead of me and wait for me 20 or 30 meters down the road and then I’d have to catch up with her,” Leonard told the BBC. Leonard even carried his new pal across a few rivers. Friends gotta stick together, after all. By the race's end, Leonard was so so taken with Gobi that he decided he wanted to bring her home to Edinburgh, Scotland. 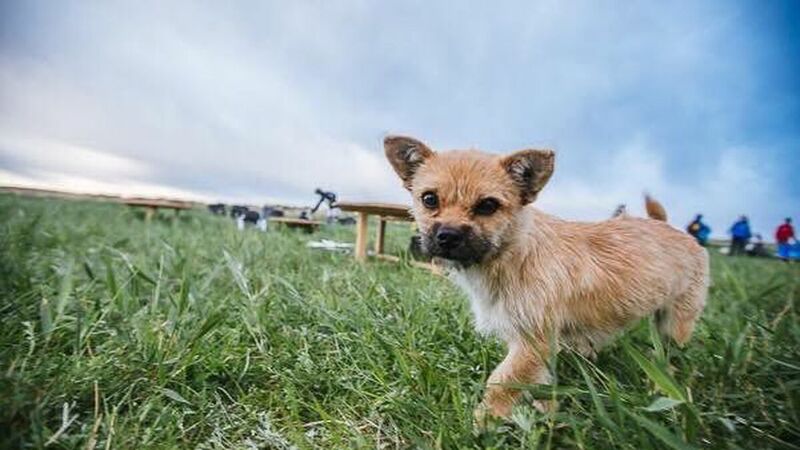 However, he soon learned adopting a foreign stray was no easy feat — Gobi's quarantine, veterinary bills and adoption proceedings would cost over €5,000 (over $5,500 USD). So Leonard started Bring Gobi Home, a Crowdfunder page seeking donations for Gobi's expenses. "If you ever felt that magic bond with an animal, I hope you can also help make this happen by giving as little or as much as you are able and anything you can help with would make this story even more amazing!" Leonard wrote.